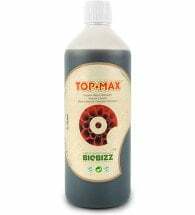 Liquid Concentrated Nutrient. 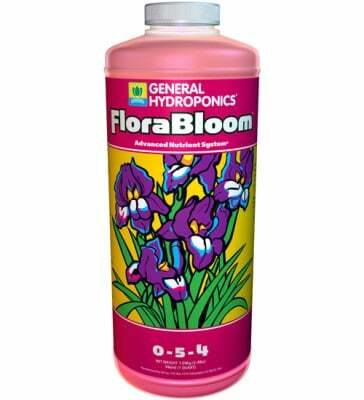 General Hydroponics FloraBloom (0-5-4) stimulates flower and fruit development. 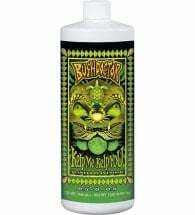 Provides phosphorus, potassium, magnesium and sulfur, which are essential for a comprehensive hydroponic plant diet. 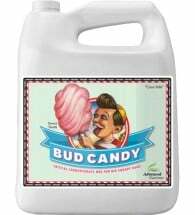 Mix 2.5 ml (seedling) to 20 ml (aggressive bloom) per gallon of water. Combine with FloraGro and FloraMicro to meet the specialized needs of each phase in a plant’s life cycle: seedling, vegetative, transitional, flowering and fruiting. Note: The proper ratio of each Flora Series nutrient depends on the crop and the stage of growth (look on the label for specific recommendations). CAUTION: Do NOT premix nutrients, add to water only.